We know that buying a house can be daunting. Many of our clients come to us with little to no knowledge of the home buying process. For that reason, we’re going to lay it out step by step for you. The first step in the home buying process is pretty obvious – you have to know that you want to buy a house to begin. Now that you’ve decided homeownership is in your immediate future, it’s time to reach out to a lender to get pre-approved. For us, that means you’ll fill out the application on our website and provide us with the necessary documentation. Then, we’ll reach out to you and schedule a time to meet. We know this part doesn’t sound very fun, but getting pre-approved by a reliable lender is an important step. It gives you an idea of exactly how much house you can afford. Here’s the fun part! You and your realtor will tour various homes to discover your likes and dislikes. Some of our clients find their dream home in the first few tries, while others visit upwards of 20 homes before finding the one. Once you’ve found your dream home, it’s time to put an offer in on the home. Your realtor will help you decide the finer details like what price you’ll offer to pay and whether or not you’ll ask for closing costs to be paid by the seller. Congrats, your offer was accepted! Now it’s time to finalize that mortgage application you filled out in the pre-approval process. You may need to provide updated documentation, depending on how much time has passed. After that, we’ll review all of your information to ensure it’s all correct. Then, we’ll provide you with a loan estimate, a document that lays out the expected costs of your loan. Now the waiting game begins. The underwriter is a third-party that reviews all of the information and determines whether you’re eligible for the loan. We tell our clients to relax in this stage of the home buying process because there isn’t much they can do. There is a possibility that the underwriter will request additional documentation, but we try to be thorough from the beginning to prevent this from happening. While your loan is in underwriting, you can begin shopping for homeowners insurance. You’ll need a policy in place for the day of closing. You will receive the closing disclosure at least 3 days before closing. Prior to the meeting, it’s important to review it to ensure everything is correct. Every buyer has the right to a final walkthrough the day before closing and we recommend you take advantage of it. It’s a good time to make sure the home is in the same condition as the last time you saw it. Closing day is the big day. You can expect to sign your name upwards of 50 times and then you’ll receive the keys to your new home. That’s when you become the proud owner of your dream home! 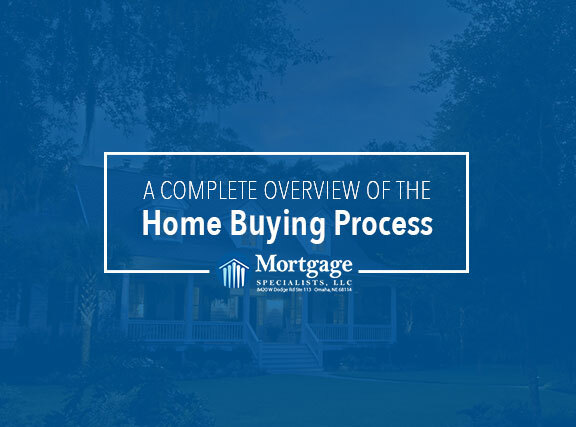 We hope this overview has given you an idea of what the home buying process is like. If you have additional questions that weren’t covered or would like to discuss your individual situation, feel free to give us a call at 402-991-5153. We’d love to answer your questions!